In an ever increasingly complex world, many of your fellow humans have opted to live a simpler life in a tiny home. It's the latest craze and it’s sweeping the nation! But how do you know where to put a tiny house once you decide you’re ready for that life? 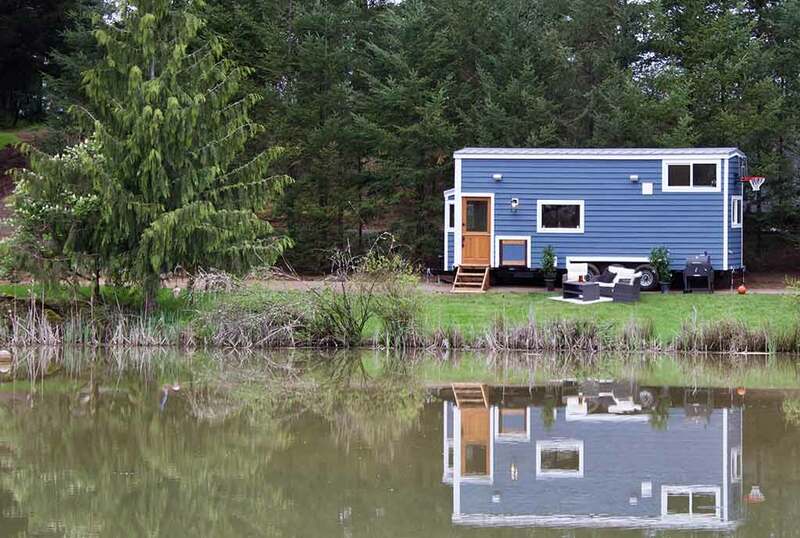 Before you jump into the tiny house lifestyle, you’ll want to have a plan for its location. Depending on where you’re located there can be pretty strict rules out there or total freedom and flexibility. Our first tip isn't really a tip about where to put your tiny house, but rather a key consideration to make before you finalize a location. Trying out a tiny house for an extended weekend is very popular. If you plan to monetize your tiny home by renting it out, of course, you need to consider location with this in mind. There are several services online where you can rent your tiny house in their pre-established park or community. Many people would like to try it out for a night or two but aren't prepared to move into one quite yet. Capitalizing on the hype of tiny homes can be a great way to pay off any mortgage, if you have one, and still own your own tiny house! "Zoning Laws" are the rules that govern what kinds of physical structures can go where in each specific location. That is why it can get tricky as they vary from location to location. It's important to understand the local regulations when you're parking your tiny house. The term "tiny house" itself can be misleading. There is no strict definition of a tiny house. Additionally, in most jurisdictions, a "house" is a structure with a foundation. If your tiny house has wheels, it may not even qualify as a 'house'. All of our Tiny Homes are RVIA certified, meaning they are technically and legally Travel Trailer RVs. This gives you much more flexibility one where you can place your tiny home. We always recommend contacting your local zoning department and/or ask a realtor. The fact of the matter is, tiny homes on wheels often fall in a grey zone of ambiguity and uncertainty for many people. Regulations and laws are constantly changing and often being amended to include tiny homes in their zoning codes however some cities or counties are a little behind the times. Regardless, there are tiny houses in all fifty states but it's important to know where you can park your tiny house before diving in. Many people and local jurisdictions in America love tiny houses. The legal tide is turning and it's just a matter of time until tiny homes become more accepted everywhere. In the meantime, being a good neighbor goes a long way with a tiny home. If you're parked on a property with the owner's permission, you'll probably be fine just as you would be if in a Travel Trailer. Here in Portland, they’re allowing tiny homes to be parked on private property, with the owners permission and other conditions, all across the city to alleviate the housing crisis. An accessory dwelling unit, or ADU, is a secondary unit on an existing single family residence where people live. When you build a small home on a structural foundation, in addition to a single family home on the property, it becomes an ADU. You don't have to worry about tiny house parking with an ADU. Typically each state has some type of code for these types of structures. An ADU must comply with strict housing and zoning regulations. It's pretty difficult to move a building once a foundation is laid down. That's why zoning enforcement on ADUs is much stricter than on mobile tiny homes with wheels. As stated in the points above, we recommend starting by calling your local planning department to discuss the options available. Tiny house living is more than a trend...it's a lifestyle. There are tiny house laws and a common tradition that isn't exactly written in stone. Do your due diligence, ask a realtor, and contact your city officials. You can also find tiny home communities in your area that have experience! Check out our blog for more minimalist living tips for tiny house enthusiasts like you!